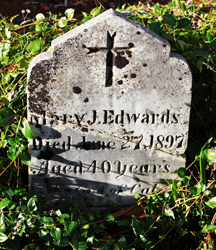 COLUMBIA ST. ANNE'S CEMETERY RECORDS. The numbers on the old section match the numbers at the end of each record, if known. The numbers on the new section start at the beginning of record with a letter. 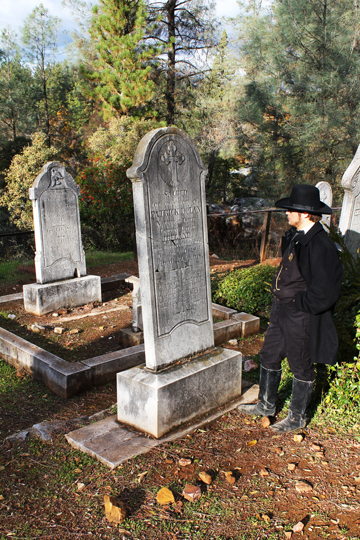 History Note: The cemetery on the hill in front of the church was actually being used several years before the church was opened. 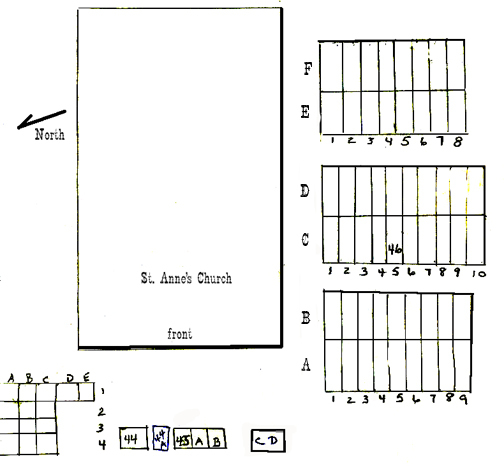 The construction of St. Anne's was completed March of 1856. ALEXANDER, Adeline C. - Born in Sonora 7 June 1921 - Died 15 June 1921. 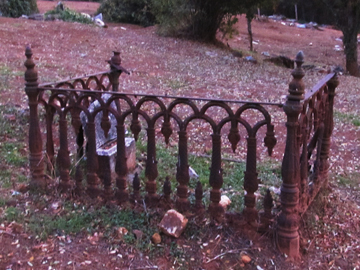 Note: Unfortunately the little marble headstone has been covered by a mudslide. 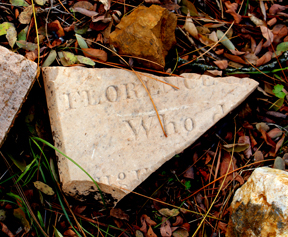 It was a small, flat headstone. 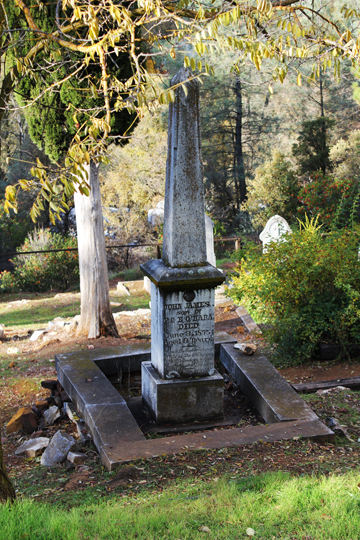 The first born of Mary and Jobe Alexander (See IOOF cemetery). 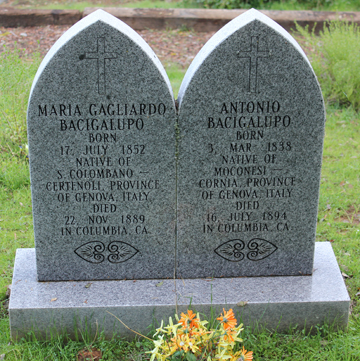 BACIGALUPO, Antonio - 44A - Born in Moconesi-Cornia, Province of Genova, Italy, 3 Mar 1838 - Died in Columbia 16 July 1894 ( from C.H. 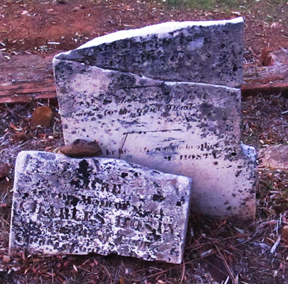 Burden records & tombstone). DONA, Vincent Nicholas - 1C Born on Long Island N.Y. 26 Mar 1920 - Died 3 July 2011 Note: Wife was Olive Douglas. U.S. Navy during WWII. HENSON, Boyd Frabklin Sr. - C2 Born 23 Jan 1927 - Died 27 Oct 1996 Note: Staff Sergeant, U.S. Air Force, World War II and Korea. HOOD, John Patrick - 3C Born 4 Dec 1924 - Died 30 June 1993 Note: U.S. Army Air Force, World War II. 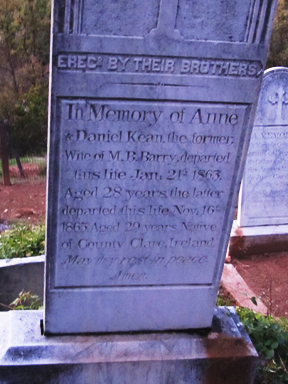 Wife Marian E.
KEAN, Anne Barry Born in County Clare, Ireland 1835 - Died 21 Jan 1863 age 28. 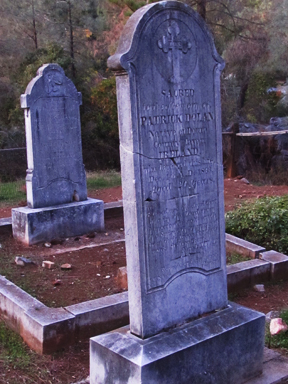 Spouse - Daniel Kean. 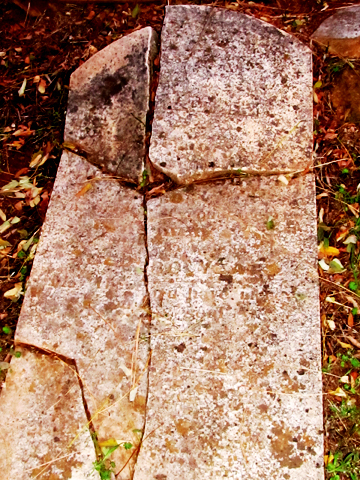 #5 See inscription on tombstone erected by their brothers. 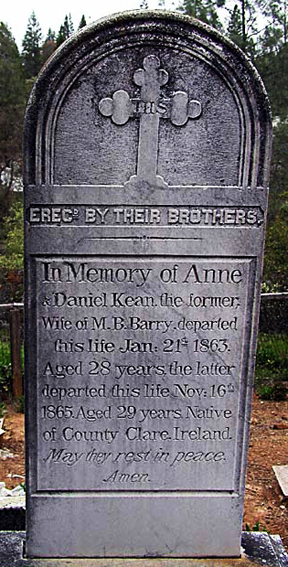 KEAN, Daniel Born in County Clare, Ireland 1836 - Died 16 Nov 1865 age 29. Spouse - Anne Kean. 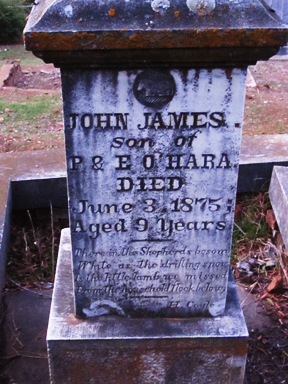 #5 See inscription on tombstone erected by their brothers. LEARY, John - Born ? 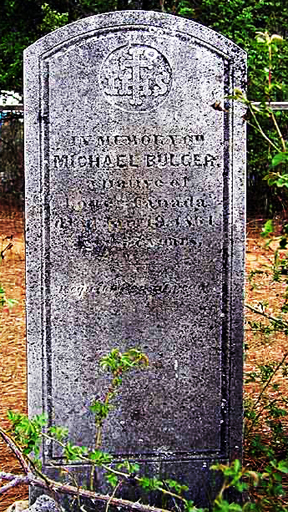 - Killed in the line of duty (Constable) 26 November 1858 in Columbia. 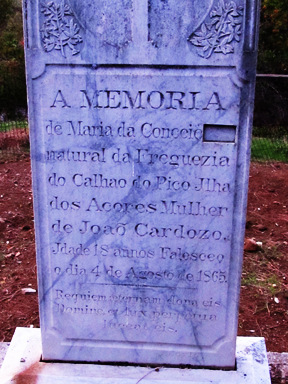 A handsome marble "monument" was erected at the cemetery in his honor. 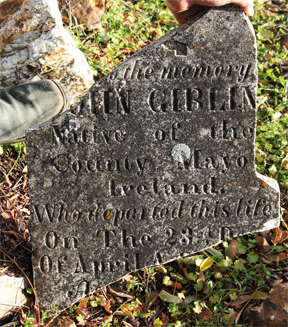 When his wife died in San Francisco John and his tombstone were removed to where she was buried. 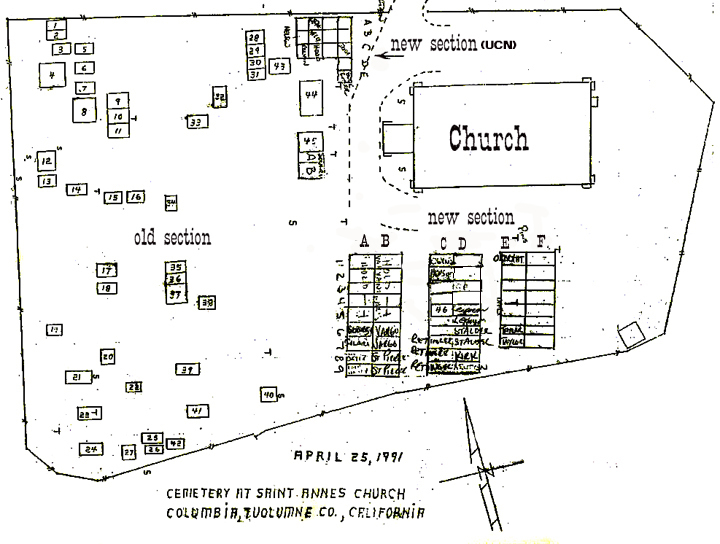 Then in c1910 his grave was moved to Colma at the Holy Cross Catholic Cemetery #46627920. 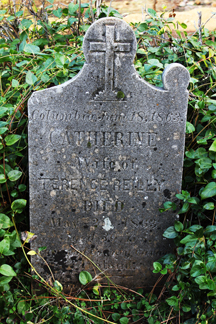 MULLINS, Catherine Born in Cork County, Ireland 1828 - Died 6 Nov 1865 age 37. 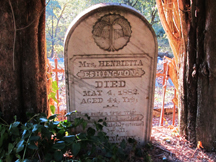 #6 See tombstone Epitaph: "I am the resurrection and life, he that believeth in me, although he be dead, shall live." 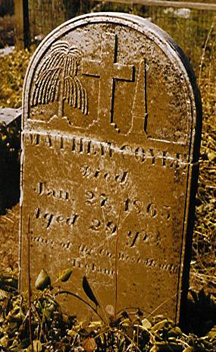 Matt. XIth, 26th May her soul rest in peace, Amen. OPIE, James W. - 3A Born 8 Jan 1928 - Died 26 Feb 2000 Note: U.S. Navy, World War II. 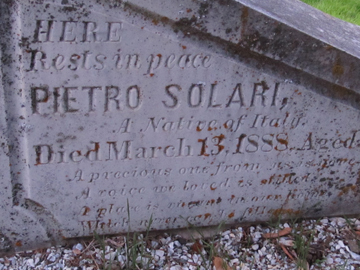 SOLARI, Pietro Born in Sardinia, Italy 1837 - Died 13 Mar 1888 age 51 in Columbia, California. Merchant. 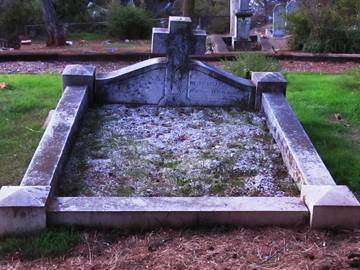 #45 See inscription on tombstone Epitaph: A precious one from us is gone, A voice we loved is stilled, A place is vacant in our home, Which never can be filled. 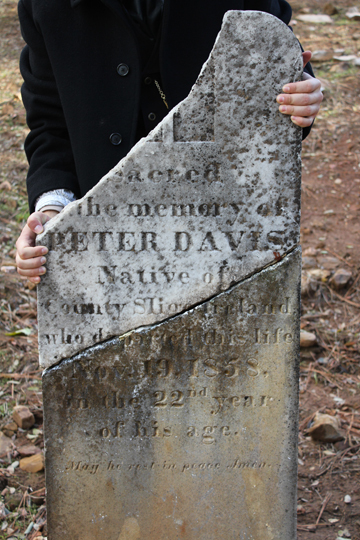 wooden markers, weather, neglect, vandalism, family theft.